Excessive body odour and Bromhidrosis severely limit those affected. Here you will find BromEX in its basic configuration (foamer). What exactly is BromEX foamer? BromEX foamer was especially developed to fight excessive and permanent body odour (B.O.). It restricts the growth of bacteria that cause odour and thus ensures that no unpleasant odour is generated. The effect becomes noticeable with the first application and reduces odour immediately. 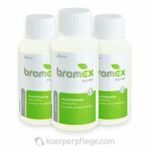 BromEX foamer is highly recommended for a simultaneous therapy in combination with AHC antiperspirants. What makes BromEX foamer so great? All parts of your body. Prosthesis (artificial limb): BromEX is able to reduce typical, 'cheesy' odours emenating from the joint of stump and prosthesis. Experts' advice: Permanent body odour (bromhidrosis) is often associated with abnormal sweating. A combinated treatment by using BromEx foamer with anti-perspirants is highly recommended. Our special remedies AHC20 sensitive and AHC30 forte will reduce excessive transpirantion to a minimum. Attention: Do not use on irritated, bruised or cutted skin. Not suitable for children. Avoid contact with eyes, mucosa, tongue or tissue. Read the instructions on the leaflet carefully. 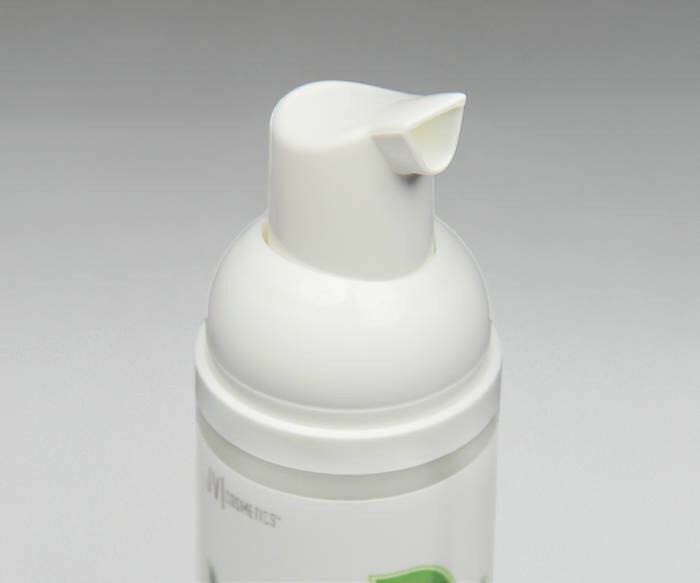 Apply a handful of BromEX foam to the area of skin that you want to treat or use your palm for application. Emulsify, rub in gently and rinse with clear water after 30 seconds. The foam will mostly disintigrate within this time span. Only pat yourself dry with a towel. Do not rub your skin heavily. For maximum effect, use BromEX foamer up to 3 times per day. If you wish to use the foam at work or school etc., for example during a short break, you can also use wet paper towels to wipe off the used foam after 30 seconds. Attention: Do not use on irritated, bruised or cutted skin. Not suitable for children. Avoid contact with eyes, mucosa, tongue or tissue. Please help other customers and rate BromEX foamer against B.O. (50ml). Your rating will be published anonymized. BromEX cleansing foam eleminates B.O. and can reduce bromhidrosis. Please note: replenish pack - for refilling only. This aluminum-free deodorant has been specifically developed to meet the requirements of our customers by using high quality ingredients only.